This home is located on Spanish Peaks’ Wildridge with views to the north and west, from the Spanish Peaks, to Wilson, to Lone Mountain. Inspired by the American homestead era, when homes were often added upon as families grew, this home is a hybrid of the traditional stacked logs and more conventional timber elements. 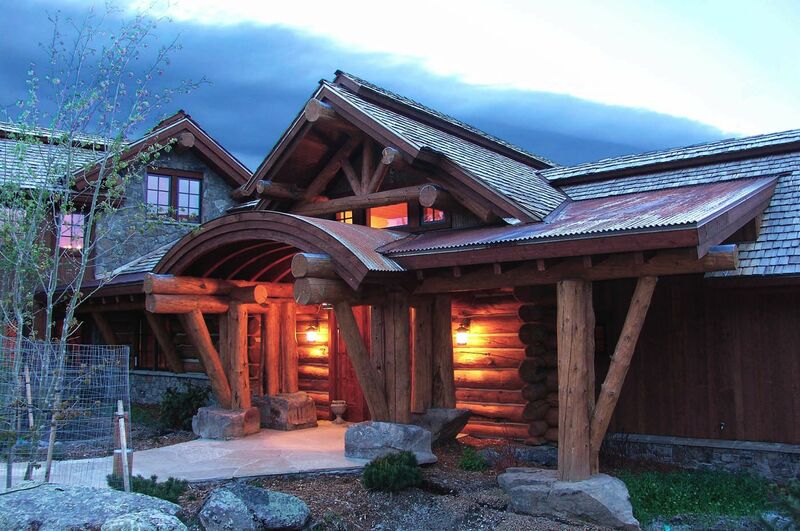 A curved entry roof is a unique feature on the exterior, while still fitting within the Spanish Peaks context. Inside, a massive central fireplace ties together the major living spaces, and a wine room can be discovered after descending down a hidden stairway.